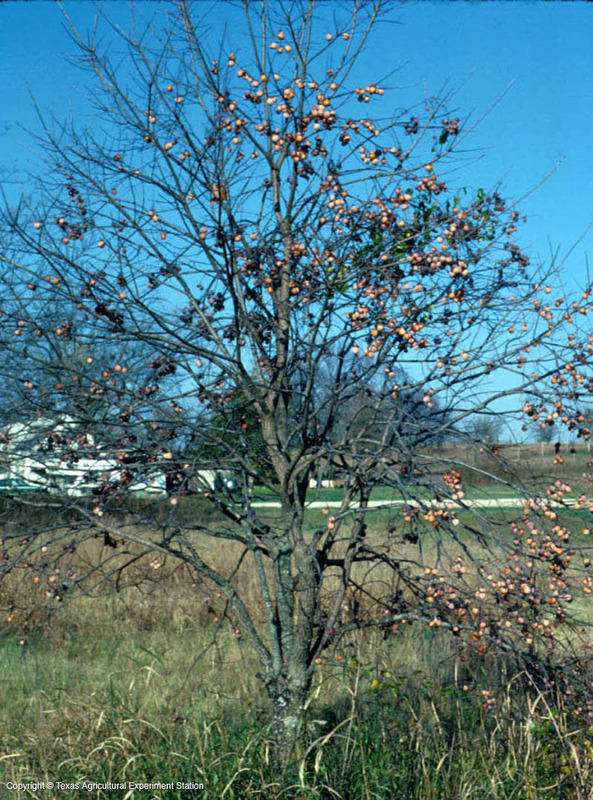 Persimmon is a widely distributed medium to large deciduous tree forming colonies via suckers. It is native to east and east-central Texas but is adaptable to many soil types. Young trees are distinctively pyramidal but become oval with age. 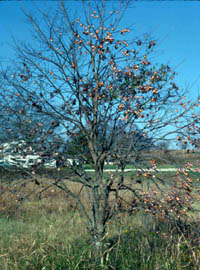 The leaves are a dark glossy green that can develop yellow, orange, to red-purple fall color. 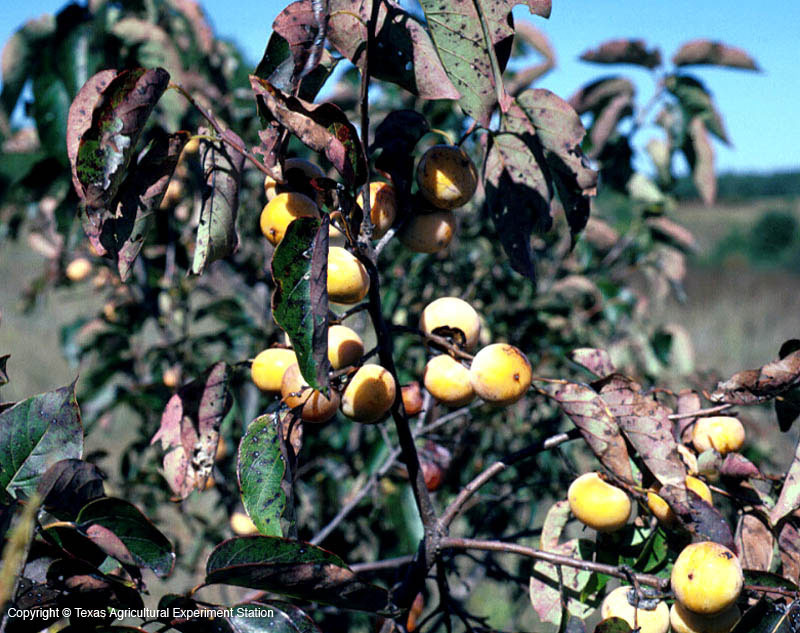 Females yield edible fruit that can be messy in the landscape.